…on my next release with Uppah Music. I was in the studio last night and I’m getting excited with where the track is heading. It’s a perspective on the refugee crisis that I hope will bring more attention to a subject we can all quickly forget about. Meanwhile, I’ve been going through the archives of my old material from the independent days (!) 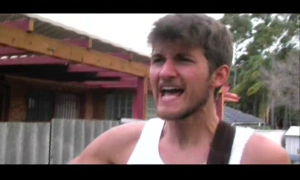 and found some old music videos that I did whilst living in Perth. Sadly the videos aren’t quite good enough to share with the world but I took some screen shots of my favourite scenes- check my Facebook page for the rest. Error 0: This plugin does not have a valid Facebook access token. Please use your admin panel to login with Facebook.